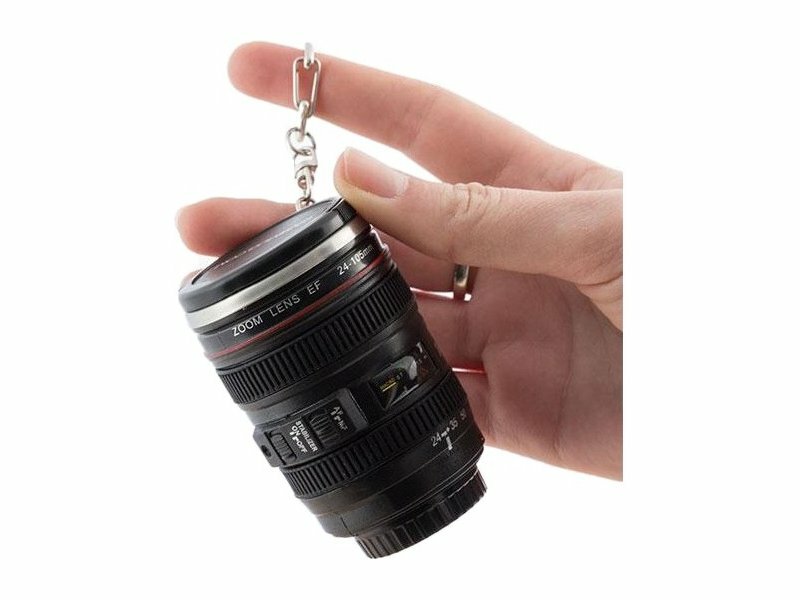 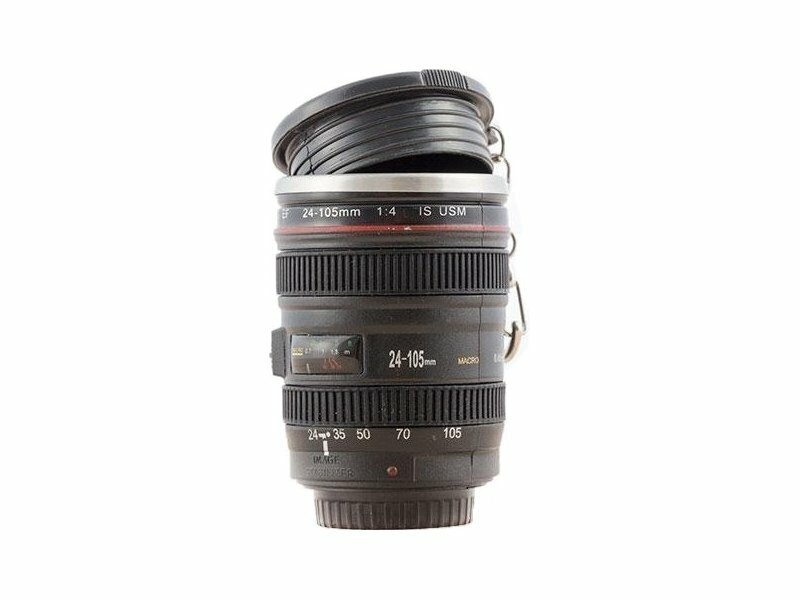 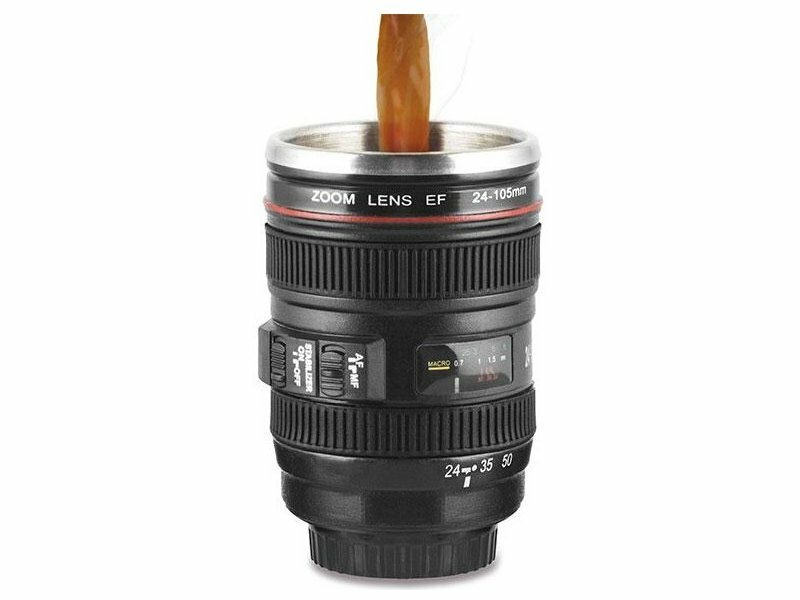 Original and practical Cammug Mini Lens keychain-mug. 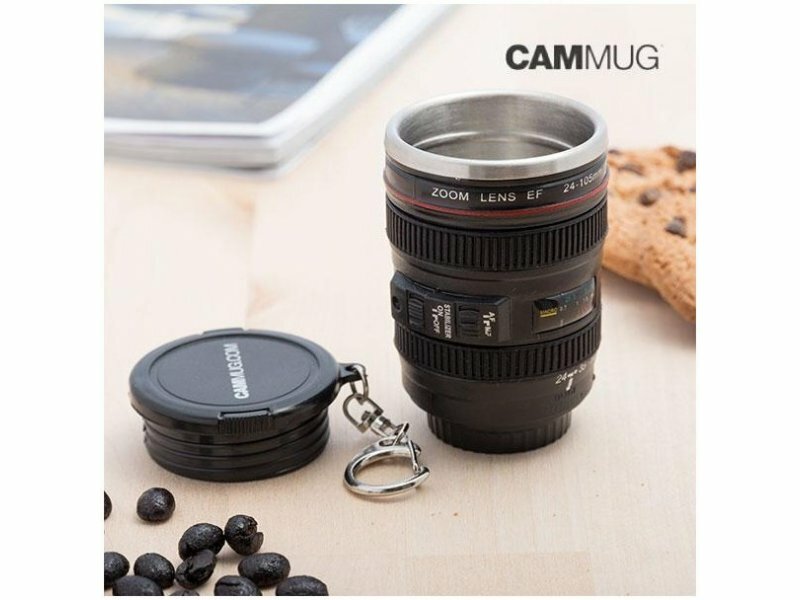 This multipurpose mini mug is in the shape of a camera lens and can be used as mug, thermos, pencil holder, flowerpot, etc. 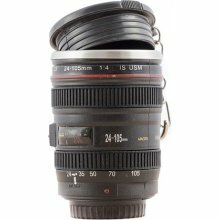 Its exterior is made of plastic and the interior of thermal aluminium. 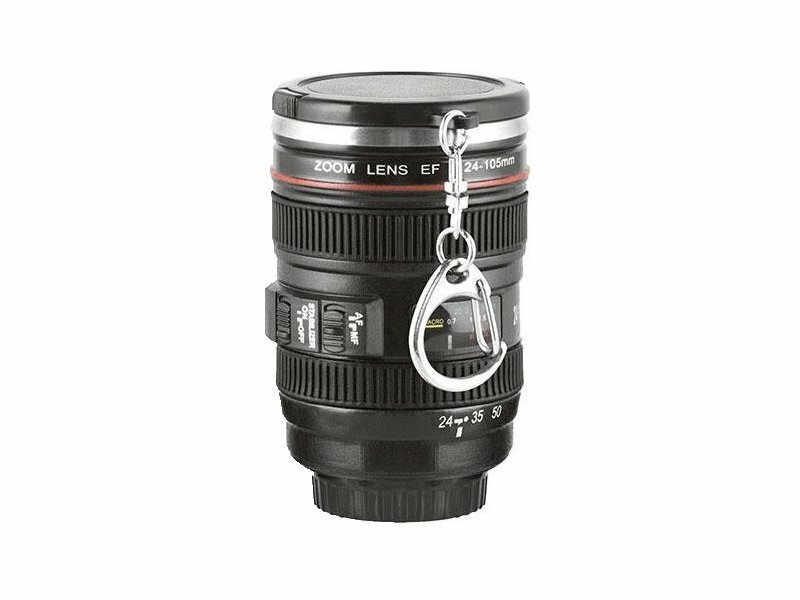 It features a lid and a metallic chain with clasp so that you can use it as a key-chain.